Saturdays at the Old Strathcona Farmers' Market have been a lot of fun and I'm looking forward to the rest of January (hopefully I'll be there in February as well, but will keep you posted!). My new sewing machine has been humming and I have found more great fabric (two words: wool tweed!) that will debut this Saturday. 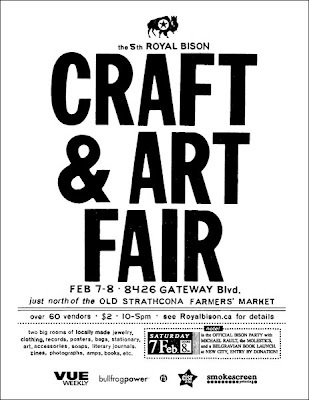 I'm also happy to anounce that I'll be at the 5th Royal Bison show February 7th & 8th. A big shout out to Sarah, monster-maker extraordinaire (www.beluadesigns.com), who made this possible by sharing her table with me and my hats!! For a list of all the fabulous local vendors who will be attending, please visit www.royalbison.ca and then definitely mark the dates on your calendar and gather a few friends. You can also shop for hats online by checking out the link to my Etsy store at the top of this page or go to www.sugarsoul.etsy.com. I am really trying to add new stock each week. 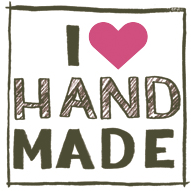 If you are new to the wonderful world of Etsy, brace yourself for a fantastic shopping experience discovering handmade goods from around the globe. I'll warn you though, many, many hours can be spent window (screen?) shopping here!